La Compagnie, the new exclusively business-class boutique airline, has begun flights between New York City and Paris. The inaugural flight took place on Monday, July 21 from Paris Charles De Gaulle Airport to Newark International Airport. The past month has seen a flurry of activity for La Compagnie, with CEO and founder Franz Yvelin and co-founder and CEO deputy Peter Luethi unveiling the brand before a packed press conference in Midtown Manhattan. Since then, the airline has secured all necessary approvals from French and U.S. authorities to begin operations. 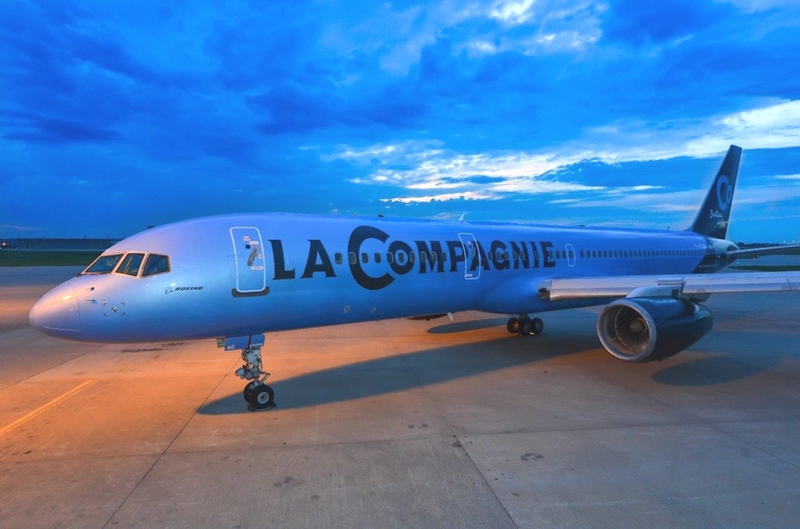 Though its point-to-point route between Paris and New York will remain steady, La Compagnie’s trans-Atlantic service will grow over the remainder of 2014 with flights offered two times weekly through July, up to four times weekly during August, and six times weekly in September. Daily flights are scheduled to begin in November this year. 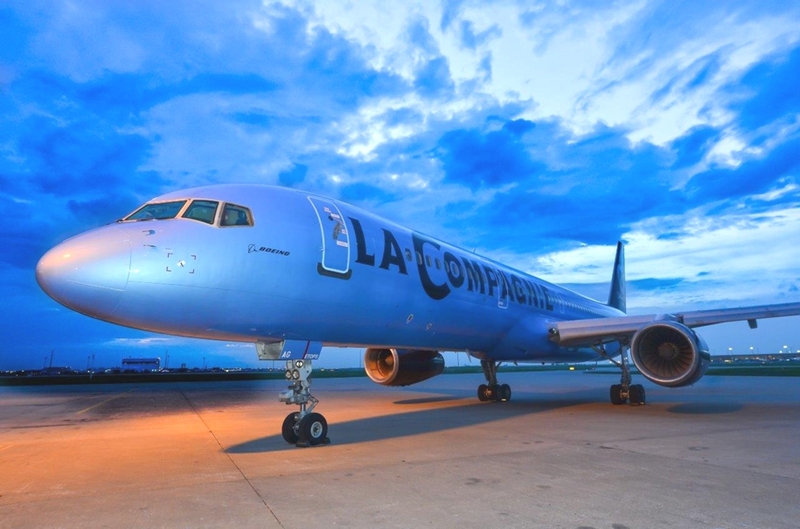 La Compagnie will begin operations with a single Boeing 757-200 aircraft. Gleaming in the airline’s signature baby blue, powered by Rolls Royce engines, and outfitted with winglets to keep fuel consumption in check, the B 757-200 holds 74 lie-flat seats arrayed with leather headrests and armrests and arranged in a spacious 2×2 configuration through a single cabin. As a passenger you will be able to enjoy the use of individual Samsung Galaxy tablets uploaded with movies, music, information and news. Baggage travels for free on La Compagnie, accommodating two suitcases per passenger at 70 pounds each. La Compagnie also accommodates golf bags, skis and surfboards. In-flight service is being executed by La Compagnie’s international crew based and licensed in France. A chic night snacking service is being offered on flights to Paris, with a hearty breakfast available prior to arrival. Passengers en route to Newark will be served a full lunch, with three hot meal options to choose from. 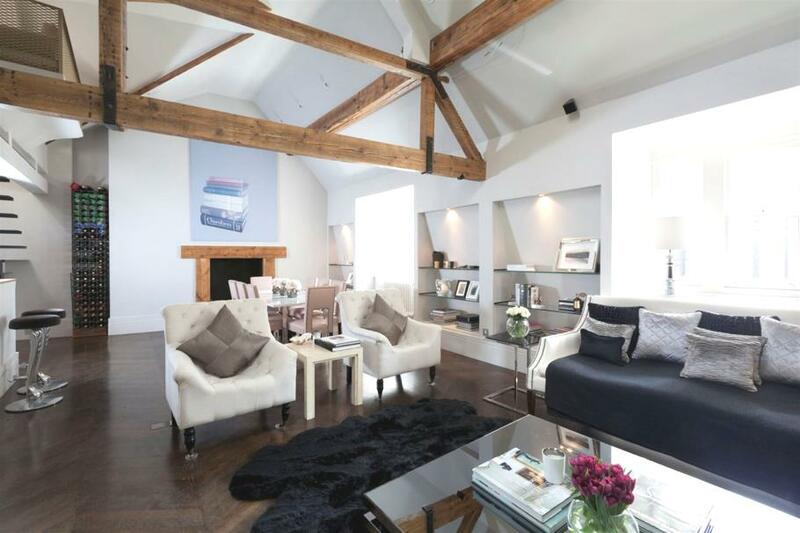 This beautiful and luxury two-bedroom apartment can be found on Church Court in the exclusive Royal Borough of Kensington and Chelsea, London.